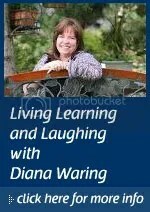 You are here: Home / Diana Waring / LAST CHANCE TO REGISTER FOR… Living Laughing and Learning CHRISTCHURCH Conference! LAST CHANCE TO REGISTER FOR… Living Laughing and Learning CHRISTCHURCH Conference! We are looking forward to a great weekend with families coming from all around the South Island. Please register by Tuesday 8th September. You can email your registration intention DianaWaringChristchurch@hef.org.nz Registrations received after this date will not be guaranteed workshop choices or Friday night supper! See www.dianadownunder.com for registration details. Friday 11th September at 6pm Come and join the growing multitude for a fun and educational evening, including vendors and secondhand resources. Music, Singing, Drama, Comedy, History comes alive, great food and fellowship. Saturday 12th September – 9am – 5pm Come to all or part of it. Key note sessions with Diana Waring will encourage and inspire you. We have practical workshops with topics for Mums, Dads and teens. Barbara Smith – Avoiding Burnout. Strategies to identify and overcome burnout. Linda Gage – Character Training. Focusing on the heart while they learn and grow. Linda Gage & Cynthia Hancox– Time Management. Practical tips for balancing the house, the family, life and everything. Come along and be encouraged, equipped and inspired for your home education journey! Shine TV 11:00am September 18.